Don’t miss the chance to see the first total lunar eclipse of 2019 through a telescope at UCF, the next one isn’t coming for another three years. Telescopes will be set up at Memory Mall on Sunday from 11 p.m. to 1:00 a.m. Monday, for viewing the total lunar eclipse, according to a UCF press release. The event which is hosted by the observatory, library and student-run Astronomy Society, is free and open to the public, according to the press release. The last time there was a total lunar eclipse visible from UCF, in 2015, it was under cloud cover, said Yan Fernandez, a physics professor and director of UCF’s Robinson Observatory, in an email. The eclipse will begin at 11:30 p.m. Sunday and reach totality by 11:45 p.m., which is expected to last until 12:45 a.m. Monday, according to the press release. This time the entire eclipse is expected to be visible from our area. The weather is expected to be cloudy early but clear by the night to a chilly 39 degrees, according to the Weather Channel. 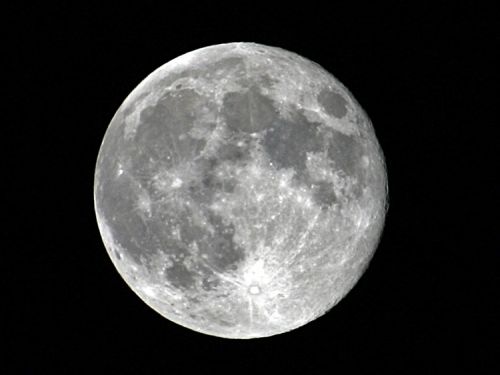 One of the telescopes will be set up with a camera feed projected onto a screen, allowing experts to share specific features of the moon with the public, according to the press release. A pair of events will take place in the John C. Hitt Library on Thursday, to help people understand more about the eclipse. Several names were used to refer to the state of the moon for this eclipse. It’s considered a “super moon” because it’s at its closest to Earth, a “blood moon” and a “wolf moon” by the Farmers Almanac, Fernandez said. “Perhaps ‘blood moon’ is acceptable, since that does actually derive from the fact that the Moon will look orange/red,” Fernandez said. Check out the Robinson Observatory website for more info about this and other events they’re hosting throughout the semester.